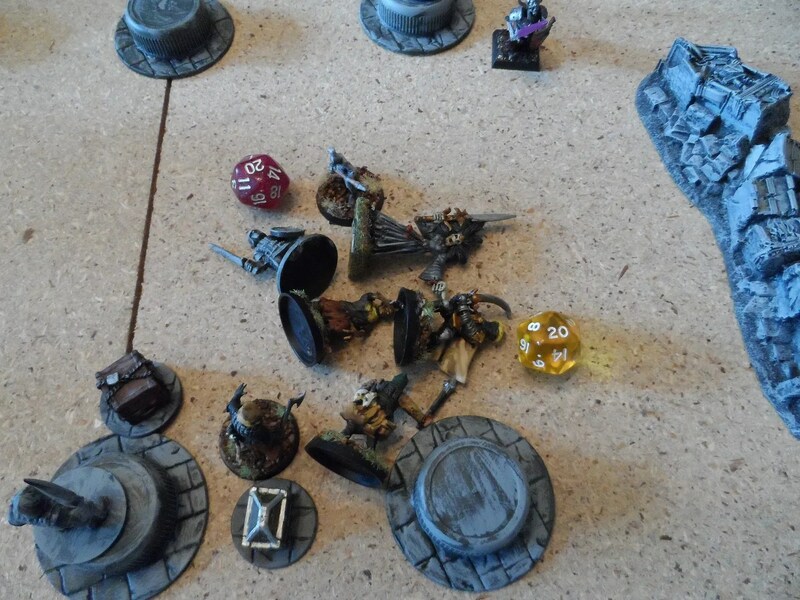 John Wayne, my zombie went down, and a mad free for all kicked off. 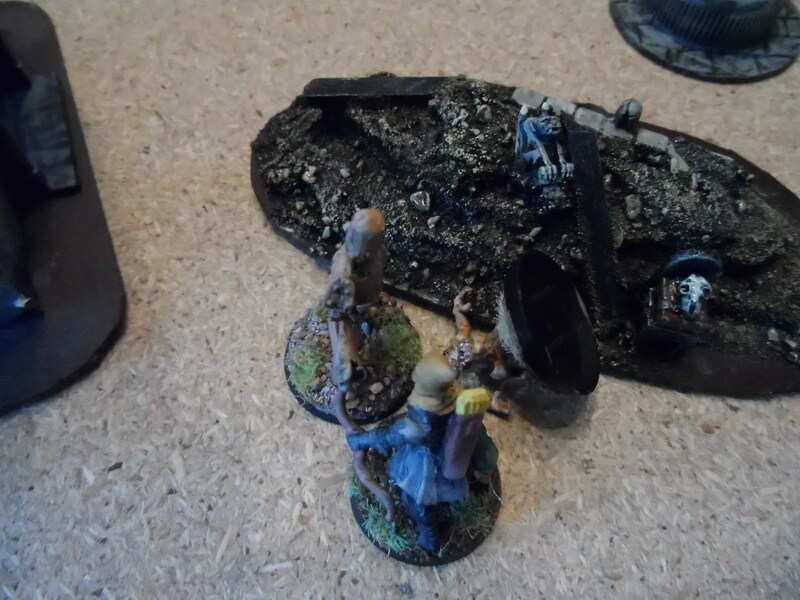 My Captain smashed one of the statues, but another one craftily activated by men, attacked Branjelina from behind. 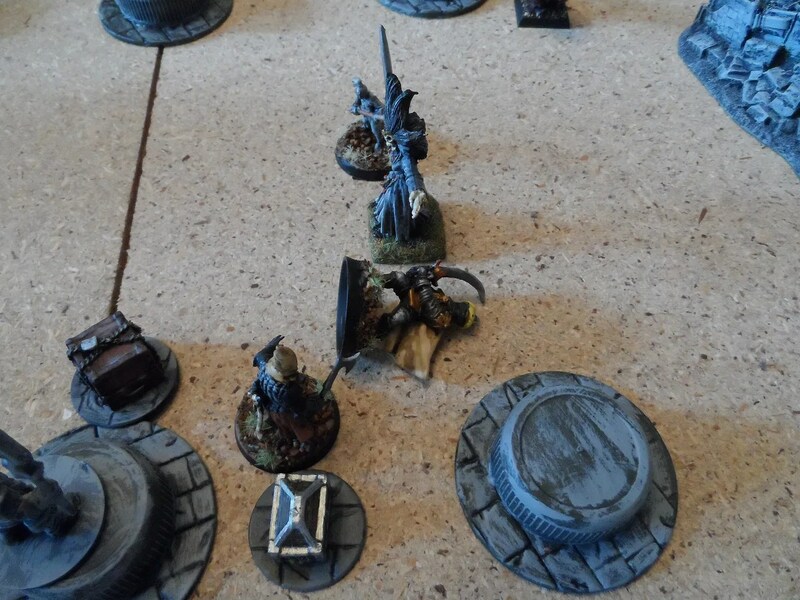 Branjelina was on a roll, smashed the statue, and then decked my captain leaving a nervous thief holding the treasure chest. 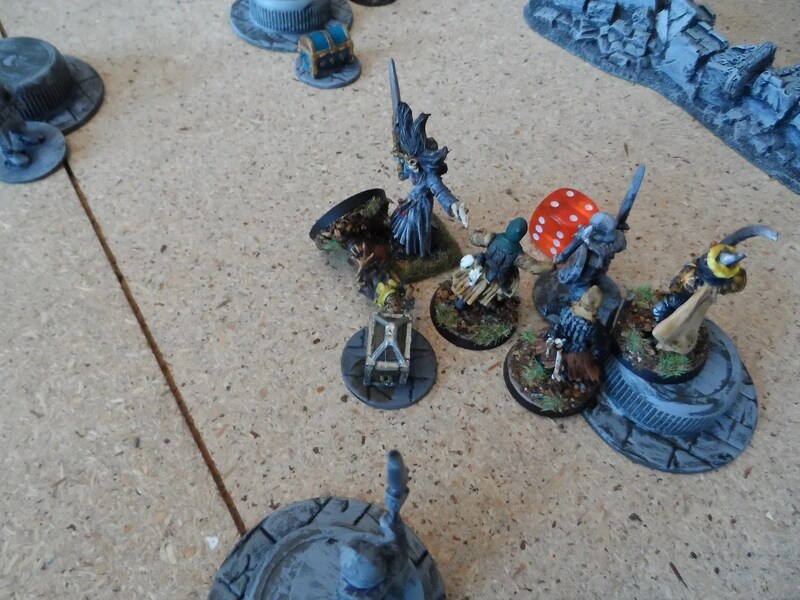 Only for my marksman to roll a 20, and do away with Branjelina ! 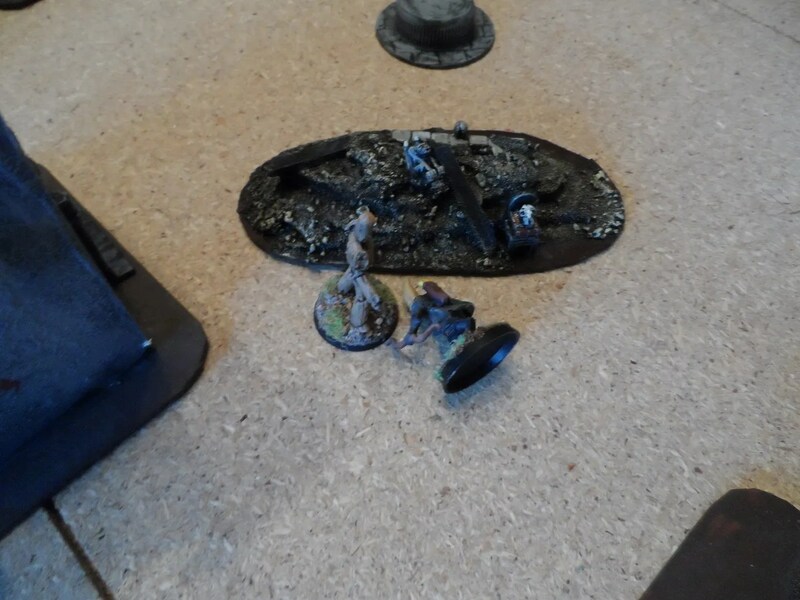 High octane stuff, so we re-staged the scene with all the casualties piled up to show just how bloody the battle had been. 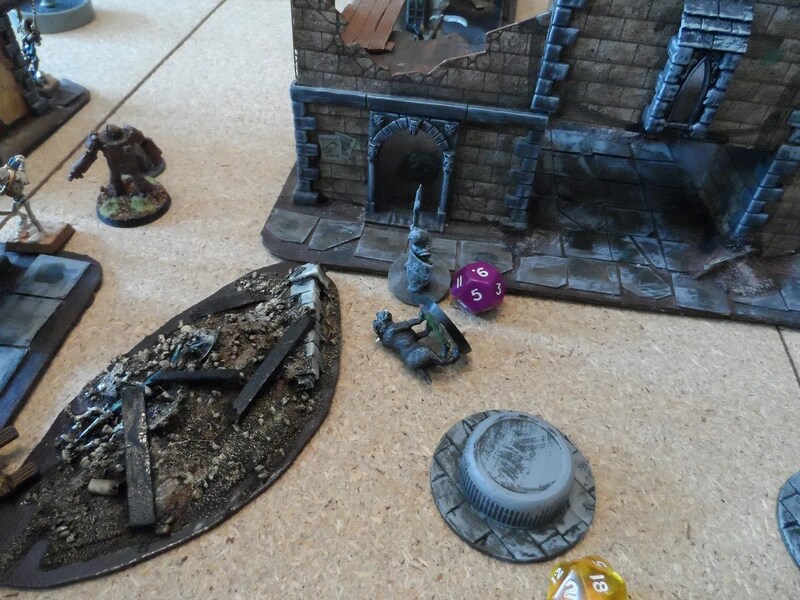 Elsewhere, my dog was crushed by a statue, who then attacked the enemy construct and locked it in combat for three rounds. 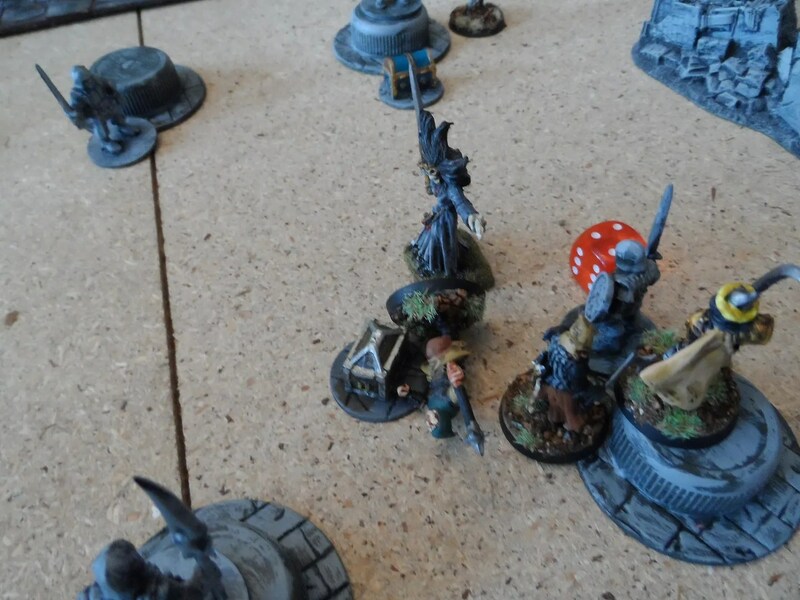 Donny II, newly summoned did what no Imp had done before, and felled a living statue, newly emboldened, he leapt into combat with another construct of the enemy along with my surviving archer (minions were by now in short supply), and was cruelly felled with one blow ! 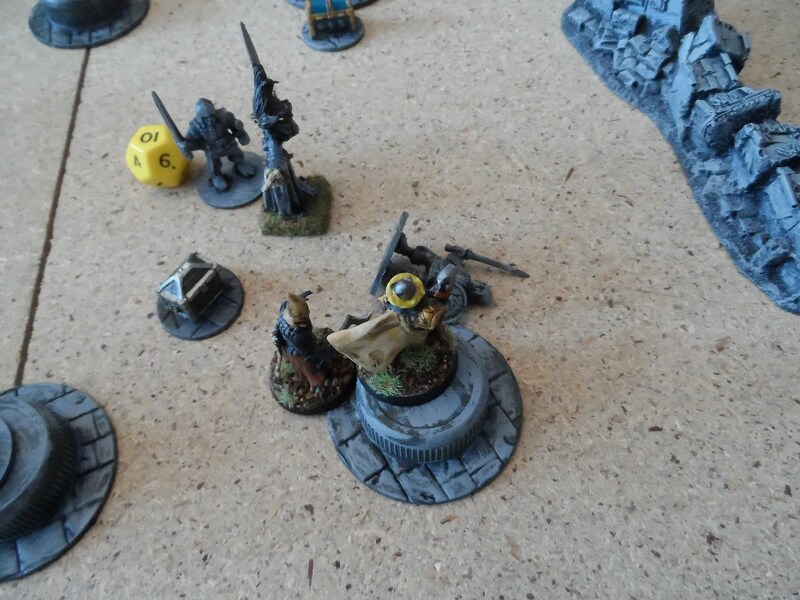 And then my archer went down. Meanwhile, KIY and Klotilda had escaped off the board along with three minions and treasure chests. the game was over with both sides having got three treasure chests. However,Jim was the winner having decked 4 of the statues thus gaining more XP.